Successfully Added Bluetooth 4.0 Smart Bracelet - For Android / Apple Devices, Steps, Calories, Sleep Monitor, Reminder, LCD Display to your Shopping Cart. Smart bracelet is compatible with the latest Android or Apple devices such as the iPhone 4S, 5, iPod touch 5, the Samsung S4, Note3 etc. As long as they are running wither the Android 4.3 or later OS , or the Apple IOS 7.0 or later then this stylish tough Acrylonitrile Butadiene Styrene (ABS) bracelet will work with it. You can download a free application to your supported device and once installed you just need to enter your personal data such as height, weight, age etc. 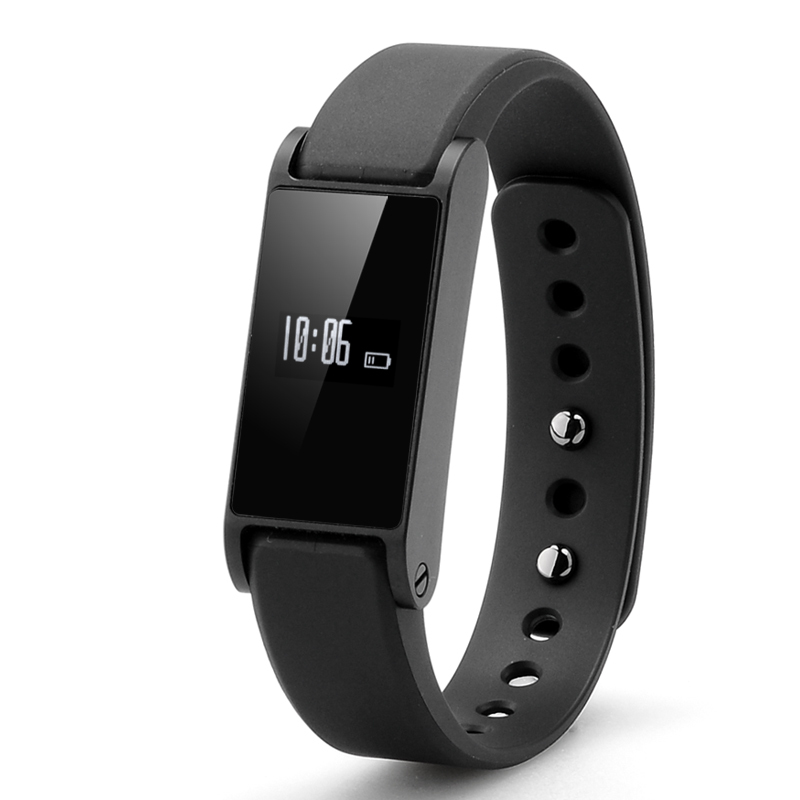 This smart bracelet will analyze all this information for you and uses its built in systems to record the number of steps you take, distance covered, calculating how many calories you have burned, tracks your sleep and even lets you set reminders throughout the day to keep you training on course. This data can be viewed on the device using the gesture control or via the special phone application; this lets you track your progress to a healthier lifestyle. The bracelet has a 0.49 inch OLED display to keep you informed and is even splash proof so you can’t use the rain as an excuse for not taking that morning jog. Get motivate and moving with this health living smart bracelet.